Tim Curry may haunted your nightmares as Pennywise the Clown when you were younger, but Bill Skarsgard is looking to take over when Andy Muschietti's take on Stephen King's IT hits our screens next year. 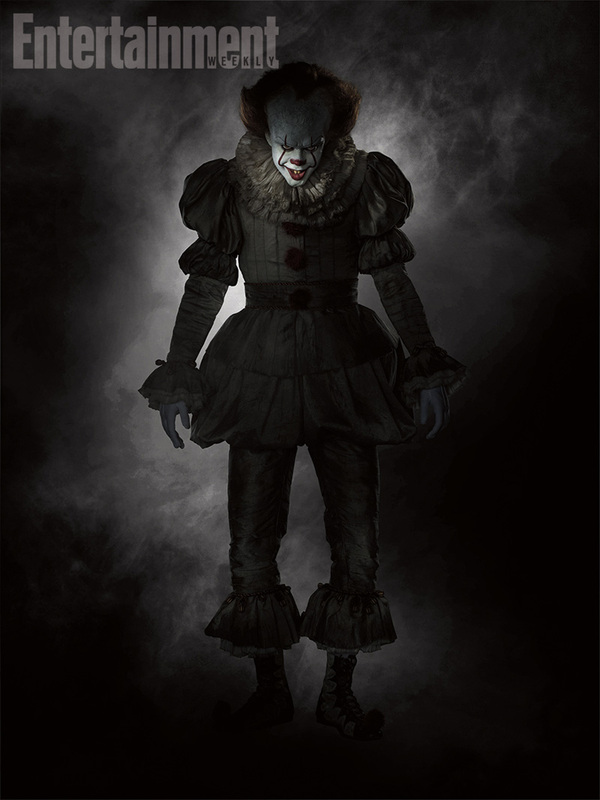 EW have our first full look at Pennywise in full costume and, boy, is it terrifying in a much more in your face way than Curry's take on Pennywise. He is definitely a clown from a different time. There is almost a doll-like quality to the costume. The pants being short, the high waistline of the jacket, and the fit of the costume is a very important element. It gives the character a child-like quality. With the story split across two movies, IT Part 1 is set for release September 8th 2017.